We have tried to answer one or two other queries in the time since, the latest ones being about the loco and the size of the nameplate, numberplate and the size of the letters ‘CRC’ on the tanks. Some of the items are in the Museum collection so it was relatively simple to be of help. 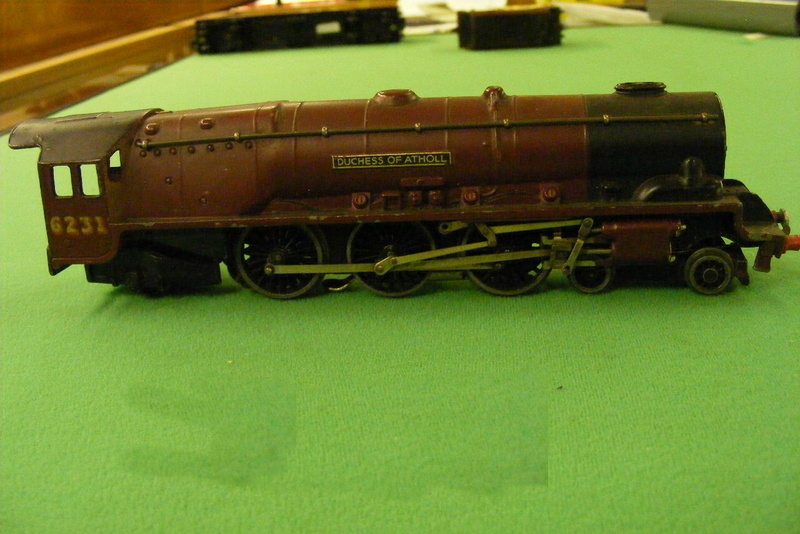 Now that Ray has completed his ‘0’ gauge model, he has sent us a photograph of the complete train. A first class job! If anyone is interested in getting the parts for the train Ray can direct them to the sources, just add your details in a comment on the blog post. Our congratulations to Ray on the completion of his model and our thanks for allowing the use of the photograph. 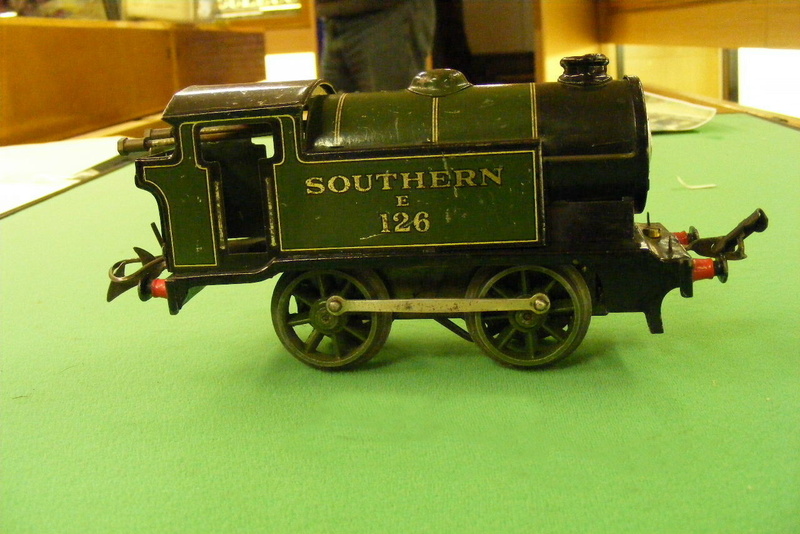 A collection of railway models, mostly on show in the museum. More photographs will be added. Items numbered 2000+ are on loan. 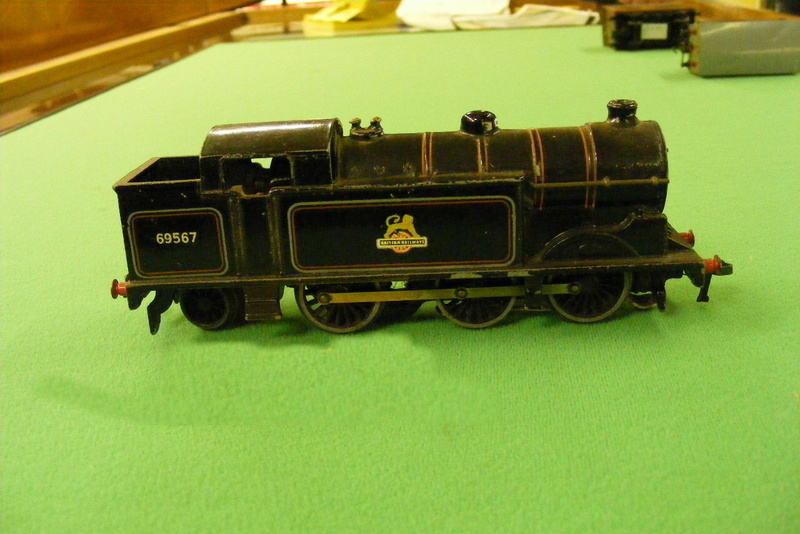 Some of the museum’s model locos – maybe Christmas presents of some years ago ! 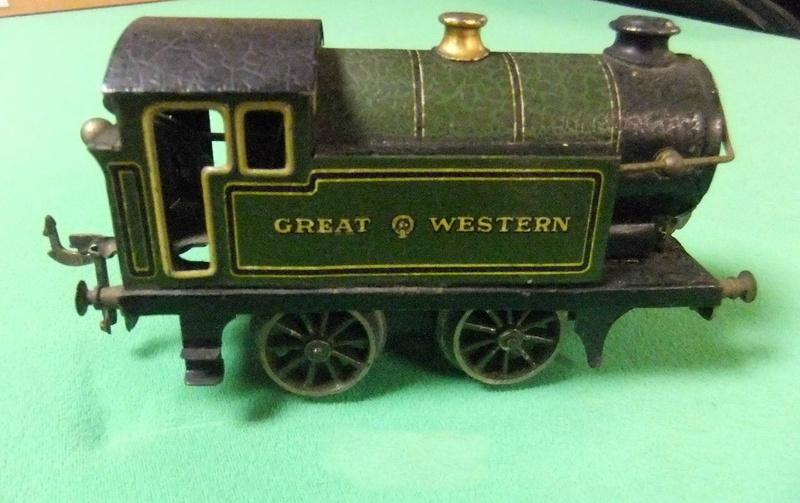 Clockwork 0-4-0 tank in GWR livery, made by Bing in Germany. 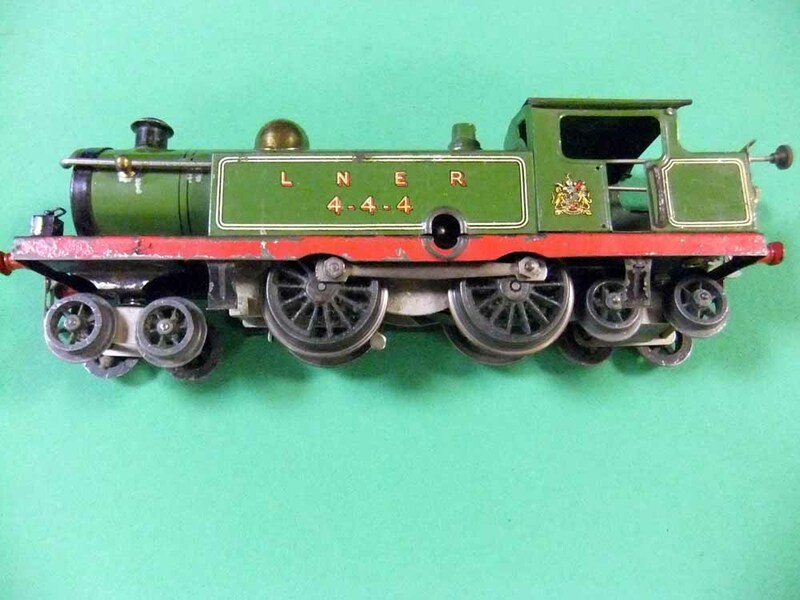 An ‘0’ gauge Hornby clockwork 4-4-4 tank loco in LNER livery, including the crest on the cabside. 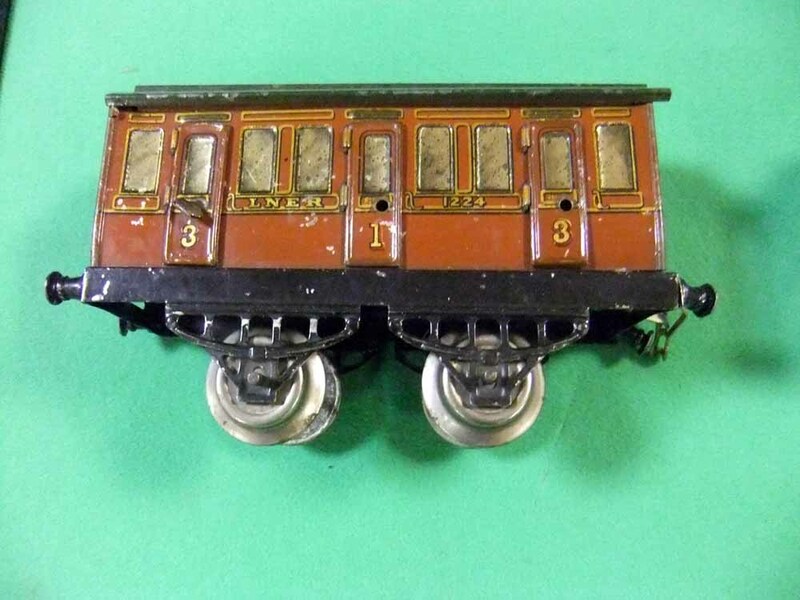 Finally, a clockwork Hornby ‘0’gauge passenger train set, including an LNER loco No.460, 2 carriages and a number of lengths of track – not forgetting the all-important key. This train set is on loan to the museum. 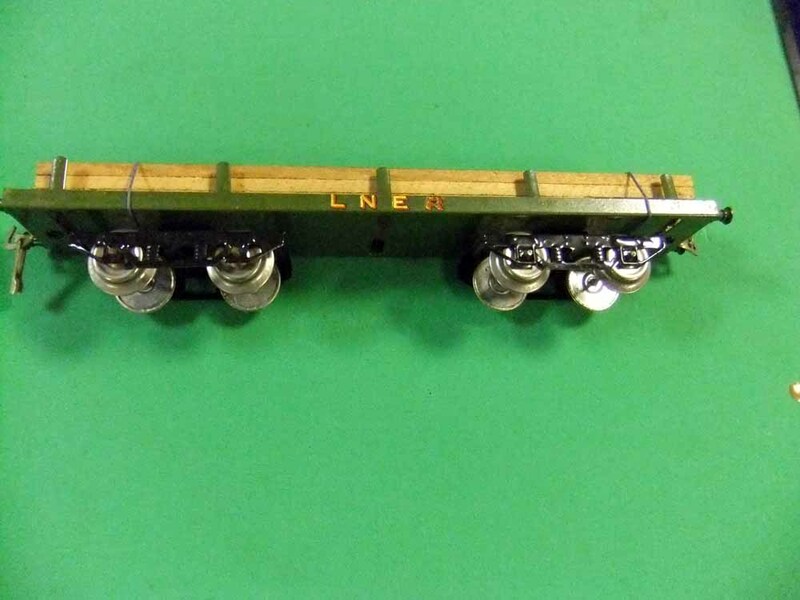 A recent donation of various items of ‘0’ gauge rolling stock, track and accessories has added a further dimension to the Chasewater Railway Museum collection of tin-plate model trains. 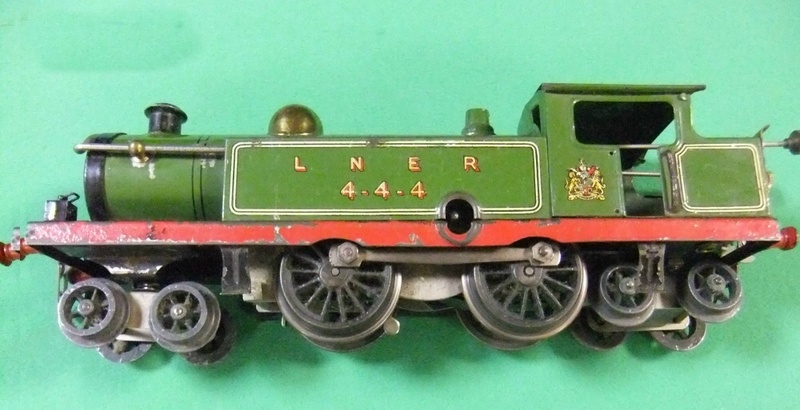 Of particular note are a Hornby No.2 tank locomotive of 4-4-4 wheel arrangement in LNER livery with crest on the side of the cab. 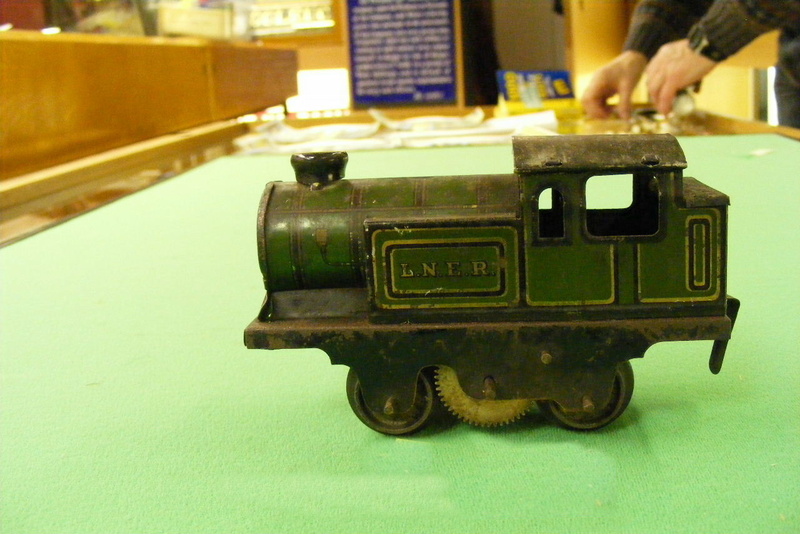 This clockwork model dates from 1926. Also of Hornby manufacture are four No.1 passenger coaches of simple appearance, these in LNER brown with clerestory roofs (or should that be rooves? – spellchecker says they are both right! ), these little four-wheelers date back to the late 1920s. 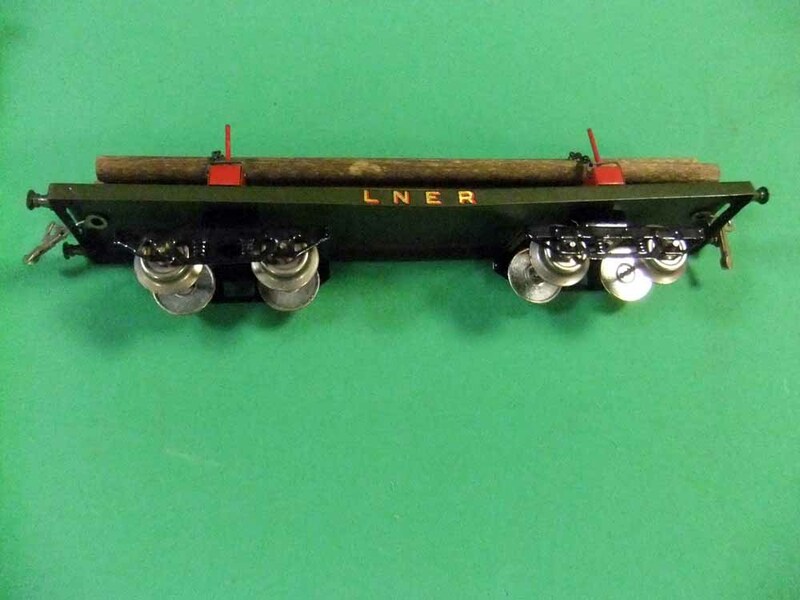 Two further LNER vehicles, and in nice condition, are two bogie wagons, a No.2 timber wagon made during the period 1924-1926 and a No.2 lumber wagon from the same period.